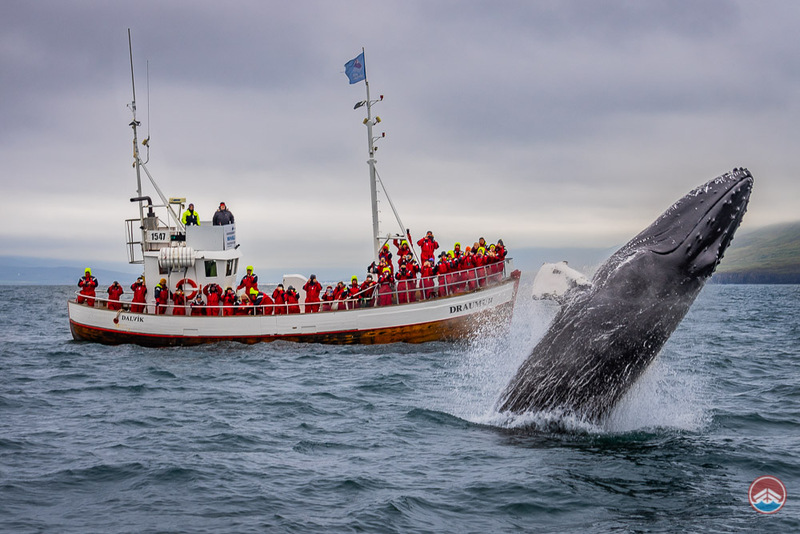 Check out our most popular tours in North Iceland. 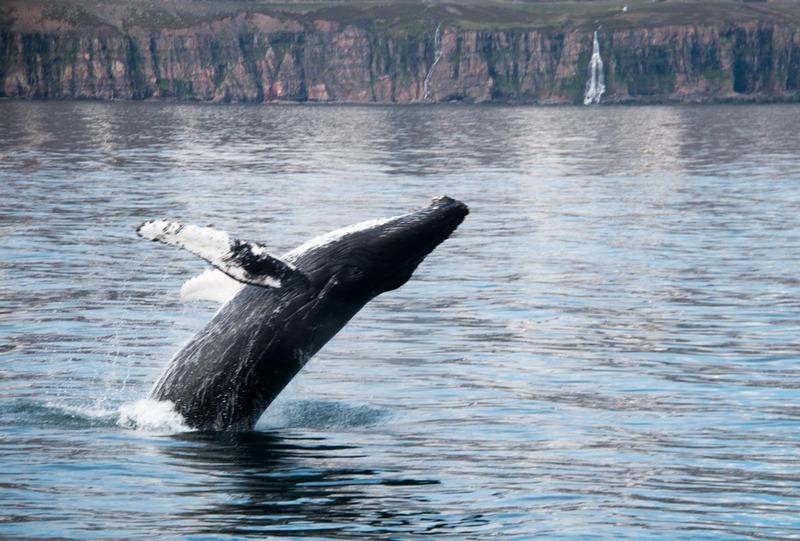 These tours depart from Dalvik village, the whale watching capital of Iceland. Over 99% success rate. We also offer tours from Reykjavik and on the Snaefellsnes peninsula. 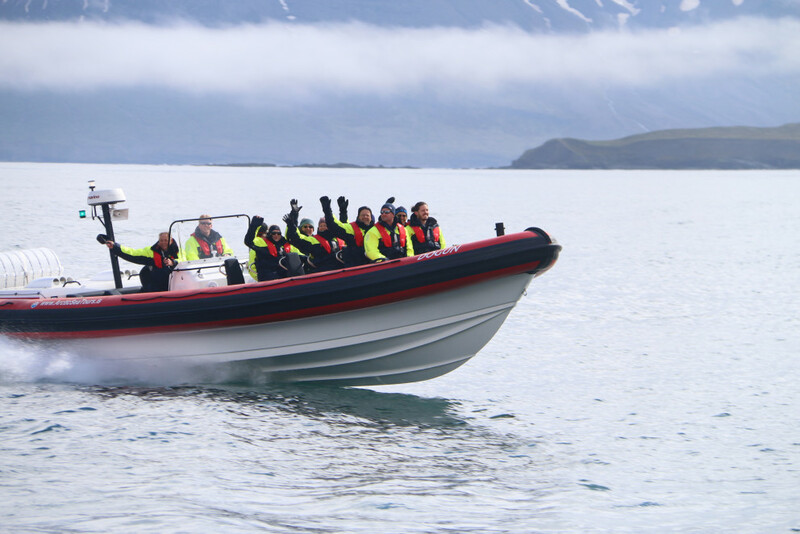 Arctic Sea Tours is located in Dalvik in the North of Iceland, not far from Akureyri. Dalvik is a charming fishing village on the Tröllaskagi Peninsula, an area that is known for its excellent whale watching conditions. 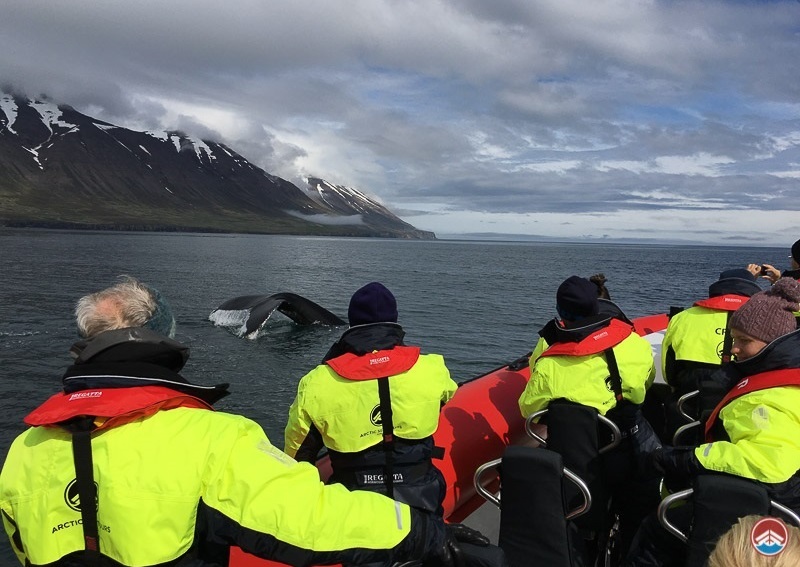 The tours take place in the Eyjafjörður fjord, where you can find various types of whales including humpback whales, minke whales and the majestic blue whale as well as other fascinating wildlife like dolphins & various bird species. 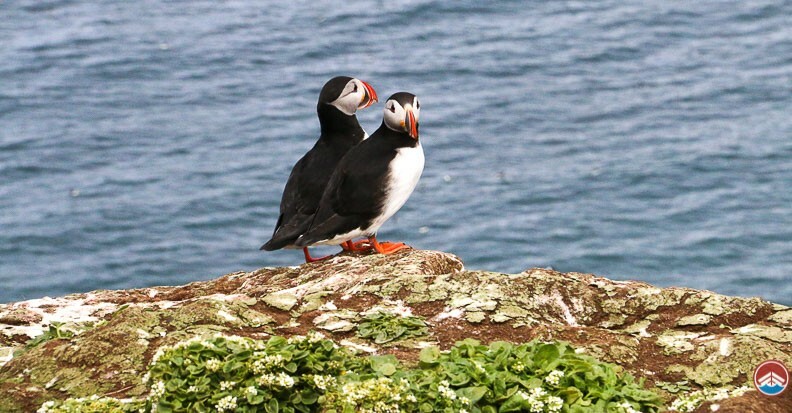 On average we have a 98-99% sightings success on our tours, making it the best in the country. In addition, our classic whale watching tour includes sea angling and a delicious barbecue tasting, serving the catch of the day! Our rib boat express tour adds an adrenaline pumping experience, as we go faster and even further allowing us to cover more area in hopes of seeing more wildlife! We also offer tours from other great locations in Iceland, including Reykjavik and Snaefellsnes. 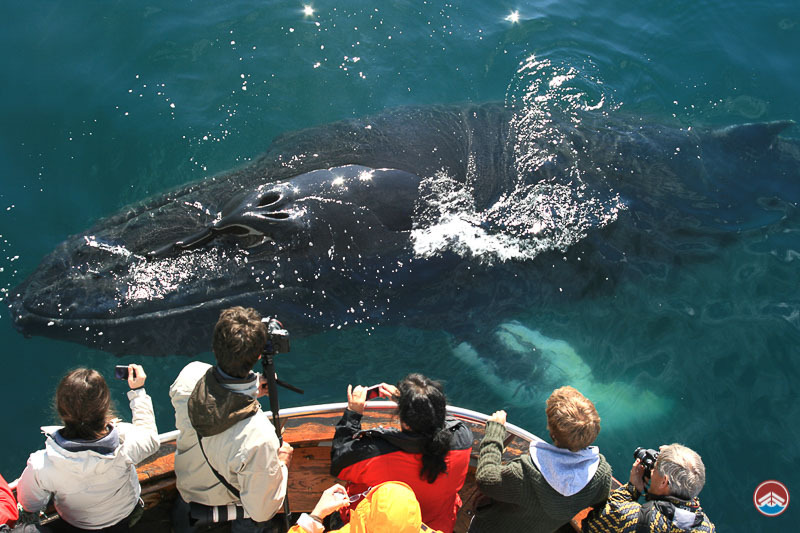 Join us for a fun & exciting whale watching adventure! Arctic Sea Tours is located in Dalvik, a seaside town in the North of Iceland. Our ticket office is located conveniently on Hafnarbraut 22 just above the harbor, next to the N1 gas station. 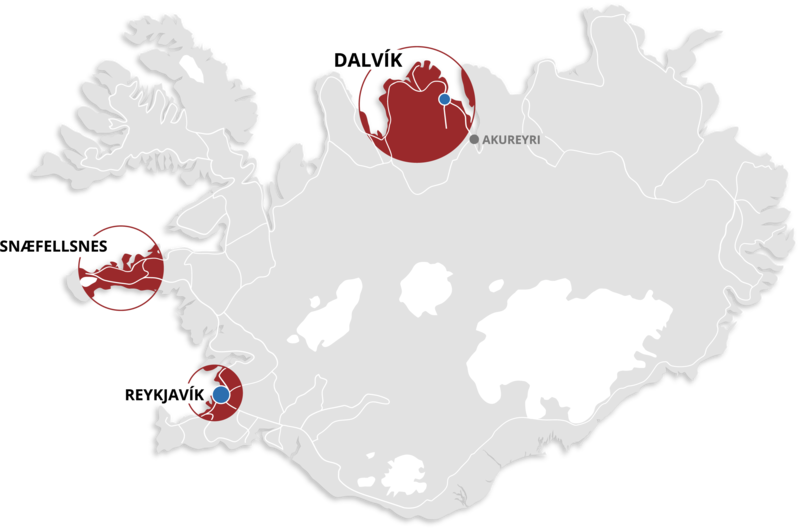 We also offer tours in Reykjavik and on the Snaefellsnes Peninsula. For more information, please see the „Locations“ tab at the top of the page. We found a happy whale on August 4th, 2018 that gave us our own private show for over an hour. Watch a clip from the tour. Truly amazing! We are so pleased to announce that we still have 100% sightings success since the 20th of May 2018 and furthermore, we've seen 11 different types of species! We are absolutely speechless and so incredibly happy. We've enjoyed every minute of every tour and hope that it continues throughout the year!